Golem (GNT) is a cryptocurrency token generated on the Ethereum blockchain. The total supply of Golem that will ever be issued is 1.00 Billion tokens, and the current supply of GNT in circulation is 963.62 Million tokens. Current Golem price is $ 0.0819 moved down to -0.59% for the last 24 hours. All time high (ATH) price of Golem reached $ 1.19 on 8th Jan 2018 and fallen -93.1% from it. Golem's share of the entire cryptocurrency market is 0.04% with the market capitalization of $ 78.92 Million. 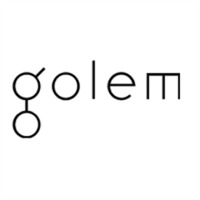 Golem’s 24 trading volume is $ 883.01 Thousand. It is trading on 51 markets and 21 Exchanges . Find more details about Golem cryptocurrency at the official website and on the block explorer. Golem price Index provides the latest GNT price in US Dollars, BTC and ETH using an average from the world's leading crypto exchanges. The Golem to USD chart is designed for users to instantly see the changes that occur on the market and predicts what will come next. Golem is the first truly decentralized supercomputer, creating a global market for computing power. Combined with flexible tools to aid developers in securely distributing and monetizing their software, Golem altogether changes the way compute tasks are organized and executed. By powering decentralized microservices and asynchronous task execution, Golem is set to become a key building block for future Internet service providers and software development.